Hawthorn flowers; photo by Eugene Zelenko on Wikipedia (use permitted with attribution / share alike: CC BY-SA 3.0). 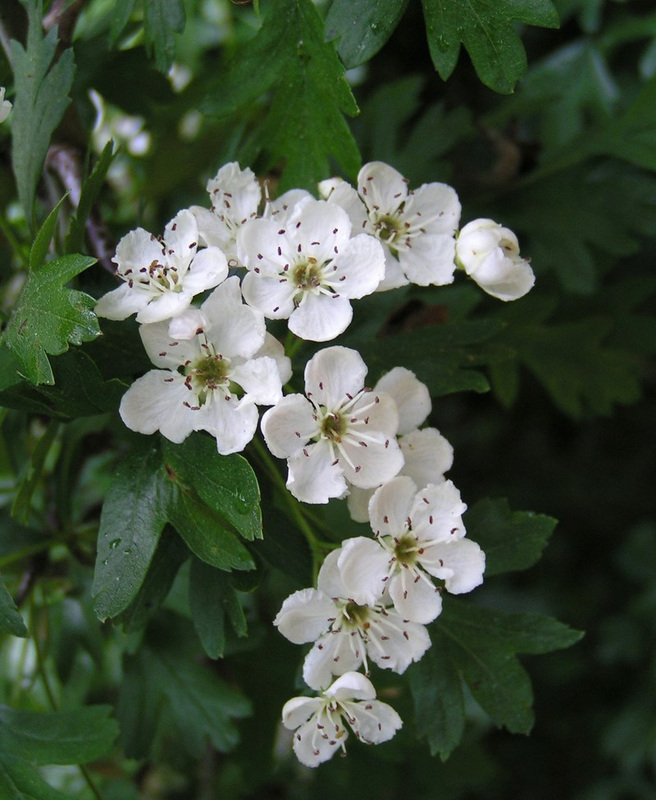 Missouri designated the white hawthorn blossom as the official state flower in 1923. Hawthorn, a woody plant that can reach 20 feet in height, belongs to the rose family (similar to plants like rose, apple and spirea). The tiny apple-like fruit (pomes) of the hawthorn is collected to make jam and also provides food for birds and small mammals. 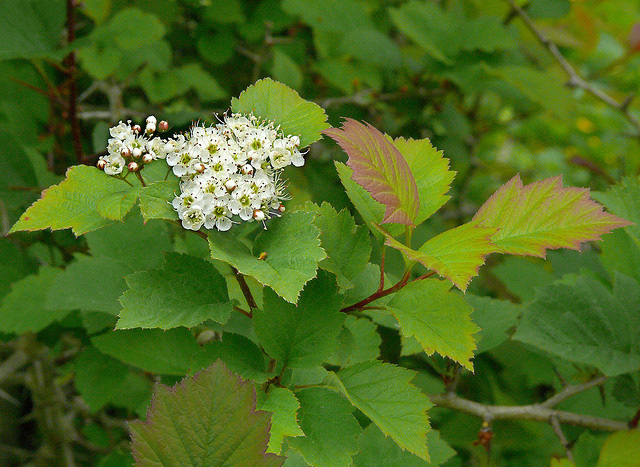 The legislation does not name a specific variety of hawthorn, but the Missouri Department of Conservation believes the downy hawthorn (Crataegus mollis) should receive the recognition. Missouri is home to over 75 species of hawthorn, particularly in the Ozarks. 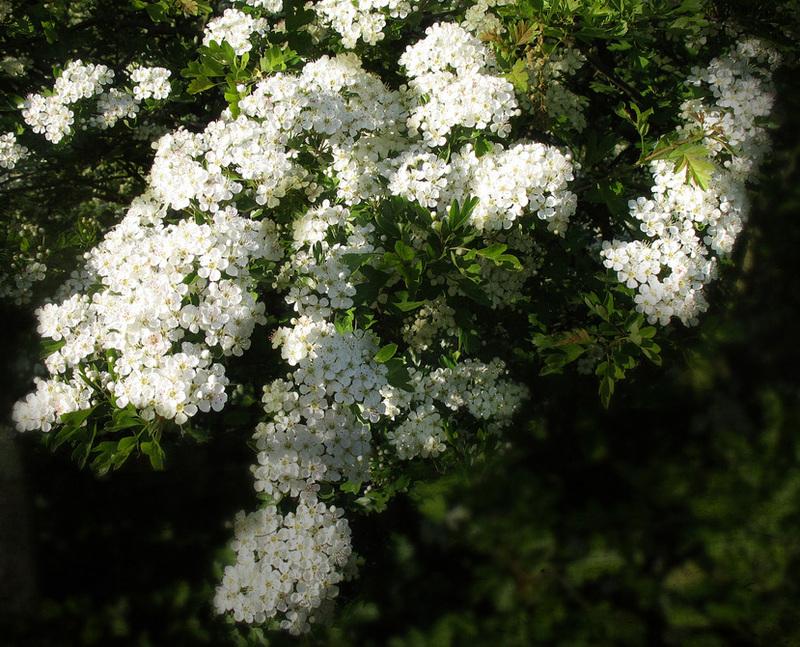 White hawthorn blossoms; photo by Caroline on Flickr (use permitted with attribution). Hawthorn blossoms and foliage; photo by James Gaither on Flickr (noncommercial use permitted with attribution / no derivative works).